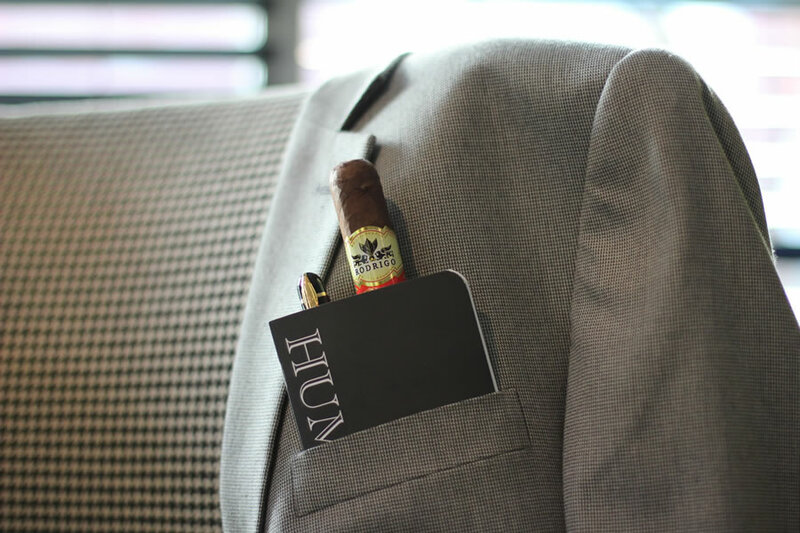 Introducing the tool no one who has ever enjoyed a cigar should be without. 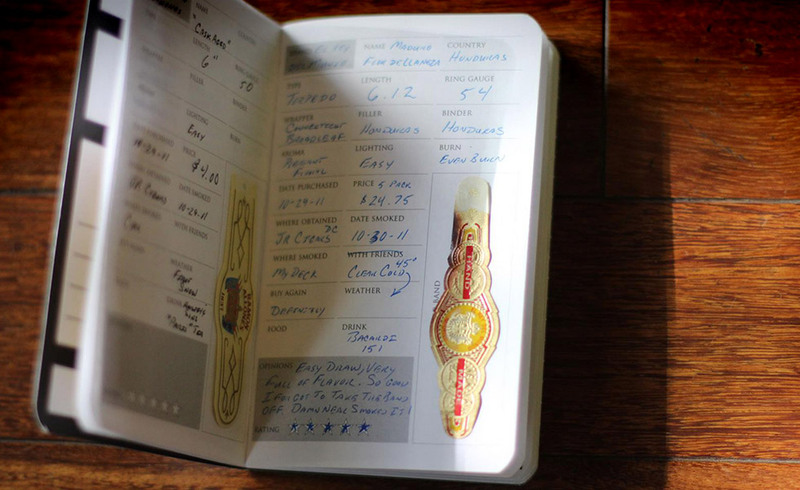 This is a companion you want by your side to remember the details of a cigar for repurchase, recommendation or just have the facts right as you retell the story of that special time. 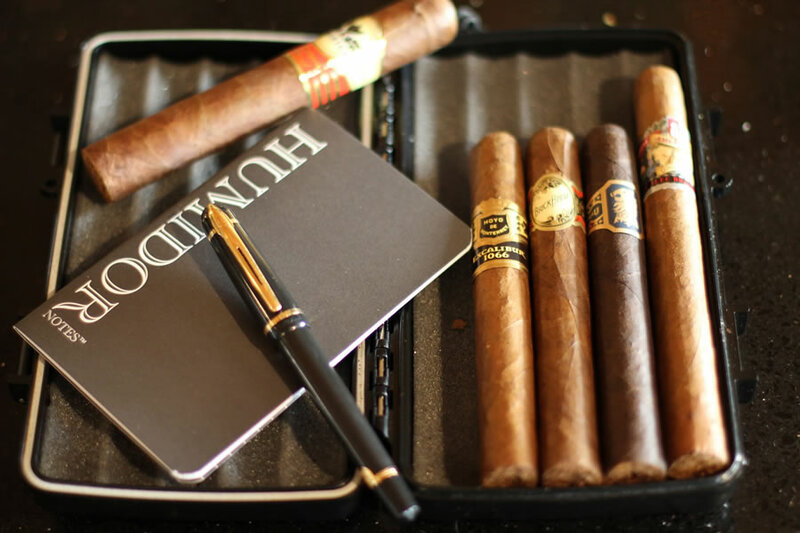 Ok, so we all love cigars and we love them for a number of reasons! 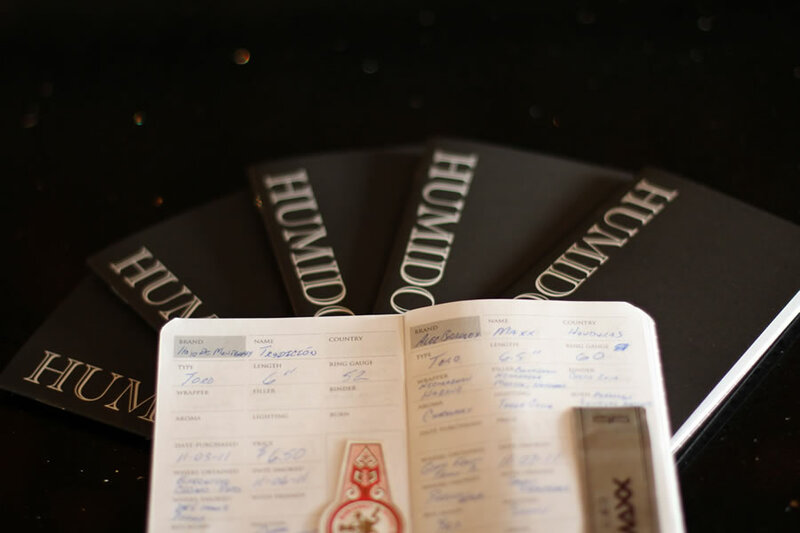 We love the look, the smell, the taste, the camaraderie, the art and the all around experience. 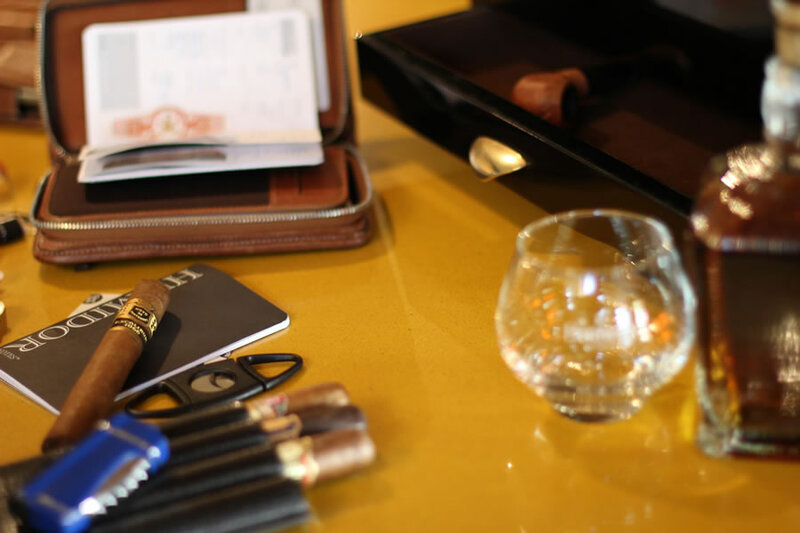 Over the years I have always had a hard time parting with the beautiful artisan bands that wrap premium cigars like a family ring wraps one's finger. 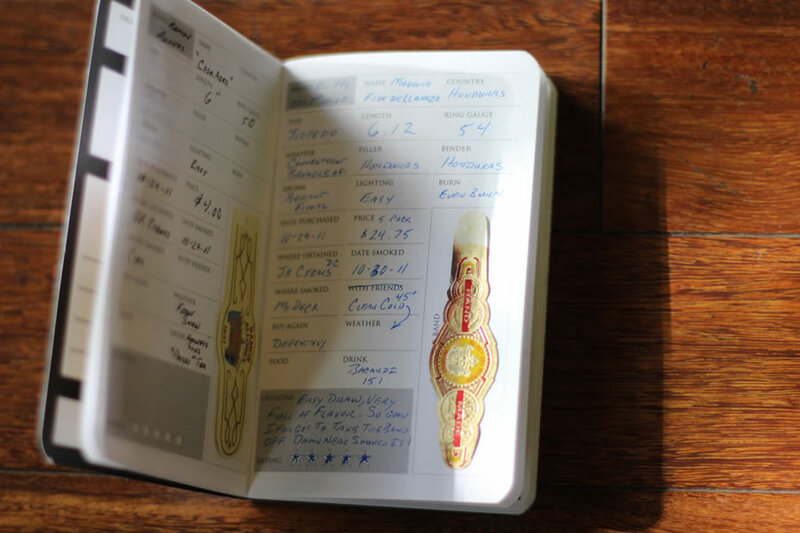 On occasion I wrote information on the back of the band to record things that made the cigar enjoyment experience special. I have bands from celebrations of my children's birth, friends weddings, loved ones graduations and awesome bachelor parties. I then took those bands and stuffed them in a bag to be stored forever. 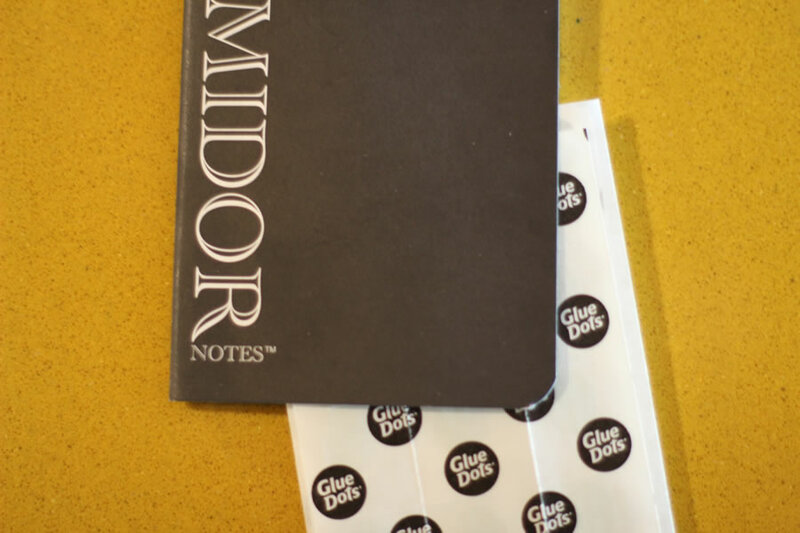 Ten plus years and hundreds of bands later I have a beautiful bag of bands that sparked the idea that created Humidor Notes. 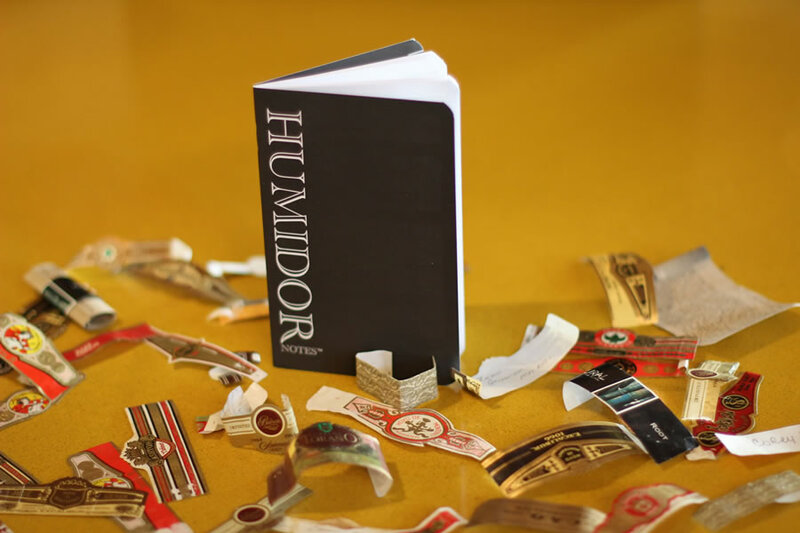 Humidor Notes was created to answer the following question, "How might I create something that helps me organize and remember the details of my cigar enjoyment?" 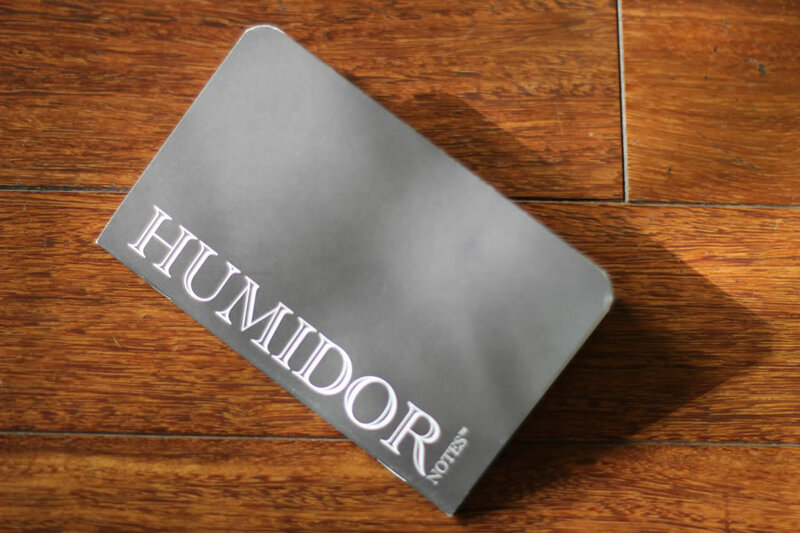 Enjoy our elegant answer to this question - Humidor Notes!